education for sustainable development (http://green-cross.ru/news/283/). 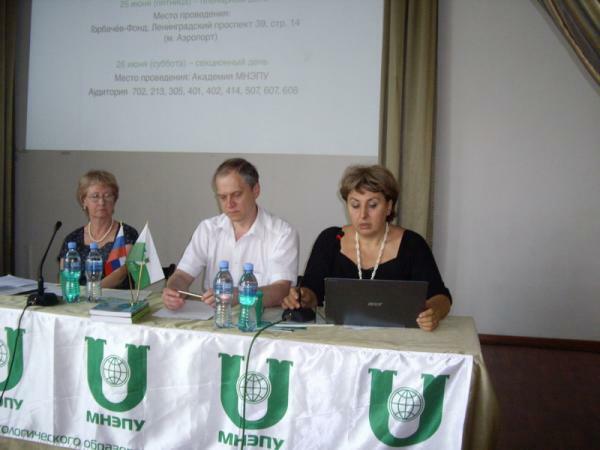 The Conference was organized by Green Cross International, the Russian Ecological Congress, the Russian Socio- Ecological Union, MNEPU, the Swiss Green Cross, the Norwegian Society for Nature Conservation, and the State Public Scientific Technical Library. Presentations of the first day of the conference, which took place in the Gorbachev Foundation, can be found here: 4shared.com/file/32ERmvqo/Presentation25JuneXXVIEfSD.html. energy saving solutions in construction, in the residential sector, in agriculture, in industry, in offices and at home. Dag Arne Hoystad, the expert of the Norwegian Society for Conservation of Nature, presented the report "Education on energy conservation in buildings." Issues of power consumption are key ones in achieving sustainable development. Expertise in the field of energy saving is necessary for everyone, for the energy producers, builders, house managers and common consumers. Development of forms of education and enlightenment for all these target groups is the most vital task of education for sustainable development. The Norwegian Society for Nature Conservation has experience in educational outreach on this topic - the mobile exhibition of energy-efficient solutions, with the logo "Energy saving is the largest power plant in Norway." SPARE project is a vivid example of such education. In it, education goes along with practical steps of students for saving energy at school, at home, in a village, and in the neighborhood. separate education programs could be transformed in the actions on the all-national level. 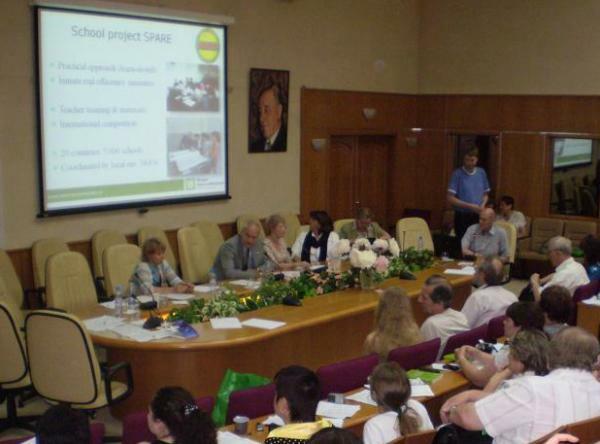 The elective course for senior schoolchildren "We and Energy" developed under the SPARE project in the Far Eastern Federal District was presented at the workshop. Olga Senova, representing the Friends of the Baltic and the Climate Secretariat of the Russian Socio-Ecological Union, described the experience of education of journalists, and the media tour "Climate and Green Energy» (http://rusecounion.ru/media-tur8410) recently held in the Leningrad region. The journalists got acquainted with the relations between climate change and the issues of production and consumption of energy and with examples of implementation of sustainable low-carbon energy solutions: wind energy for small businesses, a boiler-house using wood waste, and a newly built village with passive (energy efficient) houses. implementation of the Climate Doctrine, the Federal Law on Energy Conservation and Energy Strategy of Russia, adopted in 2009, to the Ministry of Energy, the Ministry of Education and the Ministry of Natural Resources.